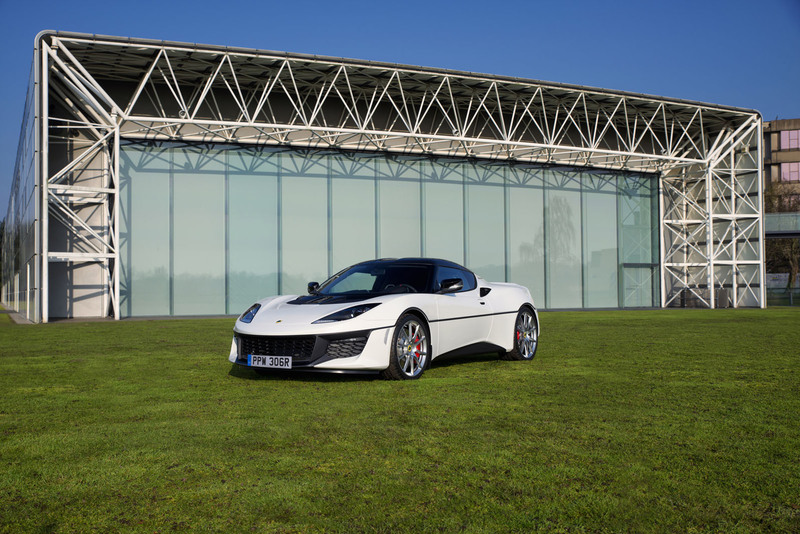 Lotus has revealed a one-off Evora Sport 410 as a tribute to the Lotus Esprit S1 that appeared in the James Bond film The Spy Who Loved Me. The film is 40 years old this year, and in-house personalisation department Lotus Exclusive has created this new Evora Sport 410 to commemorate this with a bespoke colour scheme and interior. It is the only example of the car, which will be sold to a customer. Lotus has not given an indication on pricing, but it's expected to be more than the £82,000 the standard Evora Sport 410 costs. The changes over the standard model includes a colour-coded bumper with a white one-piece carbon-fibre tailgate. It also has a bespoke font on the B pillar, showing the Evora name in the original Esprit's graphics. Inside, the insert panels of the seats and door cards are trimmed in red and black tartan, with red contrast stitching on the dashboard and centre console. Lotus CEO Jean-Marc Gales said: “So many of us recall the impact of the Lotus Esprit when it hit the big screen in The Spy Who Loved Me, and we wanted to honour that with a special Evora Sport 410. This special-edition model gets the 416bhp V6 engine from the Evora Sport 410, which gives the car a 0-60mph time of 4.0sec and a top speed of 190mph. A one-off special as a tribute to a 40 year old model isn't going to bring customers flooding in. What's needed is some original thinking on what a modern sports car should be, if indeed there is a market for such cars. I'd take one over a Ferrari or Porsche any day of the week. Just wish they’d sort all the niggles you hear so much about! That is one hell of an ugly car when compared to the early model in the little box to the right of it. No wonder they hardly sell any! "That is one hell of an ugly car when compared to the early model in the little box to the right of it. No wonder they hardly sell any!" Funny, I was just thinking the exact opposite. The original form looks gawky and uncomfortable to my eyes. The current shape still doesn't look quite right compared to its competitors, but at least it's suitably dynamic and aggressive in the detailing.